Last night I had the pleasure of seeing two very different artists at two very different venues. The first act was Foxygen. This Los Angeles-based band is riding a wave of buzz right now and they have gained a lot of attention since the release of their first full-length, We Are the 21st Century Ambassadors of Peace & Magic. Their sound is a mish-mash of late 60's/early 70's psychedelic-folk and glam-rock. 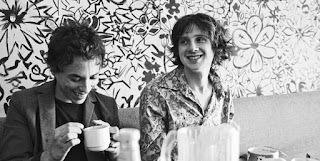 The band was formed while its principle songwriters were attending schools on opposite coasts so it's a safe-bet to say that Foxygen is as much a concept as a band. Foxygen played the Mohawk's outside stage last night and, in spite of the fact they weren't the headliners, the sold-out crowd was packed in tightly to witness the spectacle of their performance. The set was fraught with sound issues from the very beginning. Foxygen's vocals rely heavily upon an effects pedal that wasn't looped in correctly, or wasn't functioning in the way it should. This threw, singer, Sam France off his game and he was visibly flustered. He kept asking if he had the correct mic and tried switching with the keyboardist. He also couldn't hear the keys through the monitors and mashed his hands onto the keyboard a few times. All of this happened during the first couple of songs, which the rest of the band continued to play as if nothing were wrong and it negatively impacted the band's performance as well as its reception. I'm a big fan of the Foxygen LP and I won't say I wasn't disappointed in their set last night. However, I don't think they were bad and I feel lucky to have been in attendance at last night's show because it is the perfect representation of a band in its early stages. I was reminded of the time I saw MGMT on Emo's inside stage, the songwriting was already there but the band still felt like a performance art piece from Montessori school graduates. Foxygen has a great record and they are talented musicians but they haven't gelled as a band yet. Clearly they need to have a touring sound-person whom they can communicate with and trust. They also need to get more lost in the performance, there were definitely moments last night that felt very contrived and self-conscious. It's evident that Sam France is a fan of early Rolling Stones but some of his stage movement is a little too on-the-nose Mick Jagger. 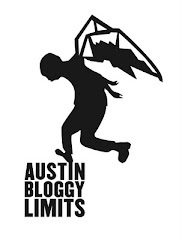 I am confident that after running the SXSW gauntlet and gaining some experience on the summer festival circuit that Foxygen will prove to be a great live band in addition to being a great recorded band. Meanwhile, across town a much different story was taking place. Ra Ra Riot returned to Austin for the first time since FunFunFun Fest 2011 performing at The Belmont in support of their latest release, Beta Love. Ra Ra Riot is a band that has been in pursuit of pop-perfection for their entire career. Beta Love is the third full-length release in this pursuit and it's the closest they've come to date. As performers, they are a well-oiled machine. They don't do lots of fancy solos, or jam out the songs from the records, they simply perform flawlessly. This is a band that has been touring the world for years, tweaking their sound in incremental ways to create a better experience for its audience. When you see Ra Ra Riot perform it is clear that they are having fun on stage. They do great work in the studio but they truly feed off the energy of their audiences. The 800+ people in attendance at the sold-out show last night were giving the band a lot of energy. People were singing, clapping, snapping, dancing and generally going wild for songs both old and new. As I was watching Ra Ra Riot's performance it got me thinking about radio and my mind wandered, as it often does, to the question of why this band and not this other band? To me, Ra Ra Riot should be the soundtrack to Top 40 radio rock but they're not. Why does fun. become huge but not Ra Ra Riot? Why Pumped Up Kicks and not Boy? I don't have answers to these questions and they really having nothing to do with this review but it's just something I think about and this is my forum for expressing those thoughts. So, there you have it.